2.0 (Hindi) 1st Monday (5th Day) Box Office Collection Report, Superb Hold! 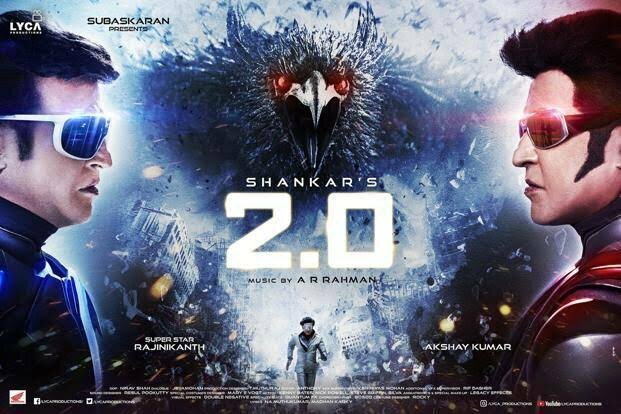 2.0 (Hindi) version has shown superb hold on 1st Monday (5th day) at box office. Film has collected an approx 13.75 crore nett. This is exactly what we predicted in our early trends yesterday. Drop from 1st Friday is just around 20-25%. In fact this is just the business drop. As for occupancy there is no such drop as Monday ticket prices are much lower. 2.0 thus crossed 100 crore mark in 5 days flat. In fact film also breached 110 crore mark now. Film total business at the end of day 5 stands at approx 111 crore nett. Film first week (8 days) total should cross 140 crore nett mark. Film will emerge as a Clean HIT and that is in worst possible scenario. It should achieve that mark by end of second weekend itself. Question is whether film can challenge for 200 crore mark in India and attain Super Hit status. This is very much possible and all depends on how film lands on 2nd Friday. Before that film needs to hold strong from 1st Tuesday to 2nd Thursday. Total -> 111 crore nett (approx). Rock steady... Hope 4 220cr... A dubbed film with average performance at high multiplex.. No holiday zero percent ticket hiked.. Great achievement akki Sir..
Yeh maamla Kya hai Ankur Bhai? Movie Ki success k liye teen cheje Jaruri h. Movie ko public Ka praise mile. Star Ki acting Ki tariff ho or movie collection kare. Agar inme se teeno cheje kisi ek movie mein mil jaye to wo movie already blockbuster ho jati h. 2.0 bhi asi hi movie h. Paisa vasool film. Bahubli ka record bhi toot jata agra time se sahi festival release hoti. But Bollywood k fan to Iske bare mein na hi bole to acha h. Kyuki ye bhi South movie h or wo bhi South movie thi. Bollywood Ki sabhi movie ka all India collection Issey kam h. Kahan compare kar rahe ho chutiyo. Sale padmavat kyun compare nahi Ki bahubali se ya TOH ye zero ko karoge. H dum kisi movie mein Jo robot k all India collection ko beat kare or bahubali ek dream come true tha. Jo roj roj nahi banta. Or Ab to KGF bhi aa raha h. 40% screen bhi mile zero k compare mein to faad kar rakh degi. Ye Maki Fan's khud ko satisfy kr rhy hn ..inta non holidays mein ye wo etc hahaha .Beta Sanju , bhubahli 2 ,tzh hai bi non holidays ralese hn ..
BAHUBALI 2 RELESE IN GOOD FRIDAY WHICH IS A HOLIDAY. Tzh non holiday.Another joke please jabardasti ghused diya tzh ko..waah lallu fans. Tzh non holiday😂Another joke please.Jabardasti ghused diya tzh ko non holiday me..abr christmas release thhi wo...waah lallu fans waah! its rajnikat movi not akki main lead. its not dhoom story who cirle around vilan. its rajnikat movie and it will go beyound 1000 crore marks world wide in gross.